Disney World holidays are just the ticket for any age. You don’t have to be a kid to jump in with two feet and have some serious fun. New attractions pop up every year and many more are sure to come. The whole Disney experience never gets old or will ever make you yawn. The best Florida holidays must include hip and happening Orlando to get the most from a visit to The Sunshine State. 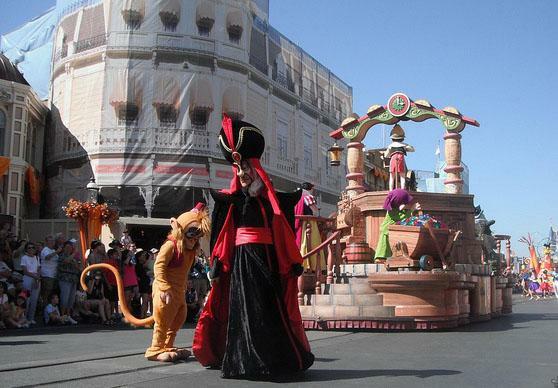 The Magic Kingdom has the classic Disney rides, shows and parades that you don’t want to miss. There’s so much to see and do that it could make your head spin, so try a few tips to get you to the top attractions on time. Pick up the pace in this wild ride through the Old West. One of the most inventive thrill rides at Disney World, this top attraction is filled with scenes and images from the rugged cowboy country. Be sure to ride Big Thunder Mountain at least twice. The backdrops are awesome during the day and get even better at night. 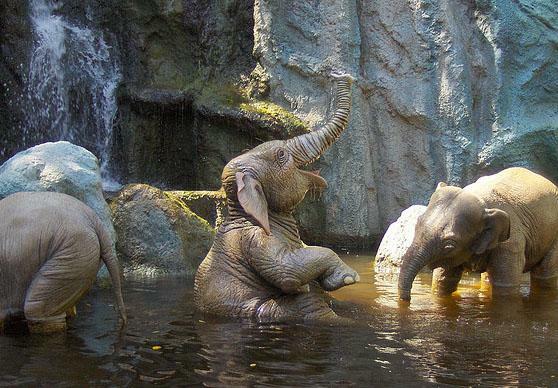 The Jungle Cruise is a Disney classic on a slow-moving safari boat filled with colorful critters. Glide by the African animals with some comedic commentary by your witty safari skipper. Great for all ages, The Jungle Cruise is a perfect 10. This wild and crazy ride takes you through outer space on a sloping roller coaster track that spirals downward in the dark. Like something out of Star Wars, the sights, sounds and speed will put a gulp in your throat. Yeah, you might have to wait in line a little longer for this one, but the payoff is worth it when you’re strapped in and ready to blast off. Beautiful birds have never been so much fun than in a ringside seat in The Tiki Room. Each colorful character has their own unique personality and they know how to work the crowd. They talk, they sing and want everybody to sing along. 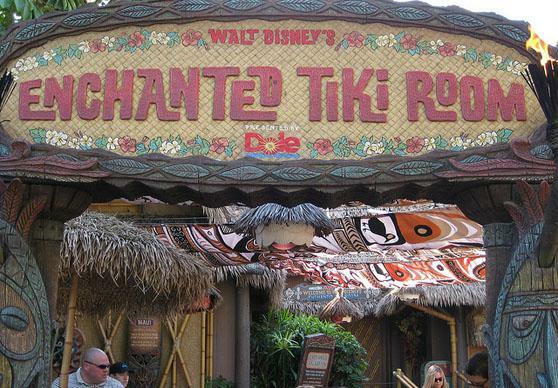 The Tiki Room brings island magic to life in a delightful and one-of-a-kind show. 5. The Carousel Of Progress. This popular attraction is not a ride, however, the story takes you on a journey over the last 100 years. Discover how the world evolved into the technical miracle it is today by watching the Carousel of Progress lay it all out. Great for kids and curious adults, this 20 minute show is a real eye-opener. This clever haunted house is filled with tricks, twists and spooky dudes. 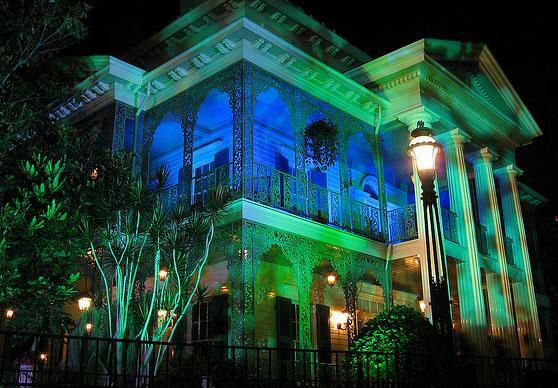 Not too scary for kids, The Haunted Mansion is a favorite for a slow-paced attraction full of surprises. Mansion guests hop in a cart and glide by all the action filled with creepy comedy that is good for a few laughs. This mesmerizing show is all Americana with a variety of U.S. president sitting down for a chat. They are so lifelike that you will actually see them breathe. Meet Abraham Lincoln, George Washington and watch Barak Obama take the oath of office. Stirring, compelling and a compact lesson in American history, The Hall of Presidents is a moving experience. Who doesn’t love Alice in Wonderland? Hop in a teacup and join the party. The teacups have a steering wheel to make them spin as fast as you want to just sit back with hand’s off for a mild ride. This young and old attraction brings out the best in the Disney characters, so don’t be surprised if one of them jumps in the teacup with you. The Mad Tea Party is fun, relaxing and one of the most loved signature rides at Disney World. This may look like a kiddie ride, however, all ages love to hop onboard. The cart is suspended from the ceiling, so it delivers a different kind of feel than the rides mounted on a track. Bob and weave through Neverland and visit some dazzling places. 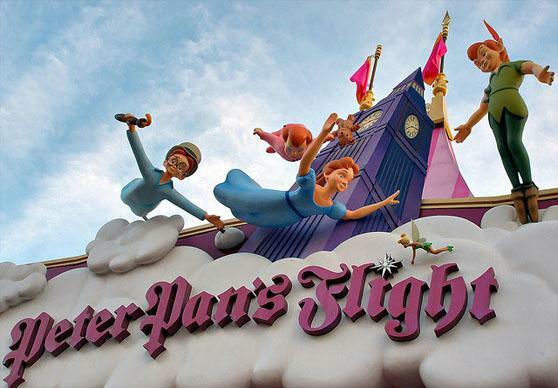 The Peter Pan ride is an all-time Disney classic and just right for the little ones. This show comes to life with huggable bears playing their cool country music tunes. This feel-good attraction has some history as one of the last projects that Walt Disney personally created. Kick back and enjoy some goofy humor, great music and some southern hospitality from the bears. You can trust Travel City Direct to offer affordable quality holidays to Florida and the Caribbean, helping your budget go a lot further, as well as the security of being part of the Virgin Holidays family. You’ll also be pleased to know that when you book with us there are no hidden extras, so the price you see is the price you pay. For great attractions in Disney and all the special offers on Disneyland Florida and Orlando, visit our hotel comparison website.